Peter Milton Sommerhauser, board member at APCO Worldwide, is a founding partner at Wing Capital Group and a shareholder of Godfrey & Kahn, S.C.’s Corporate Practice in Milwaukee. He specializes in mergers and acquisitions, leveraged buyouts, business succession and the structure of business financing for private and public businesses and their executives. 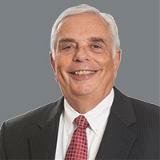 He has been an attorney at Godfrey & Kahn S.C. law firm since 1969. Mr. Sommerhauser provides overall business and financial advice and planning to corporations, executives and owners. In addition, he has handled numerous acquisitions, ranging from management-leveraged buyouts to the acquisition and sale of publicly traded entities. He serves on the boards of directors of several closely held and publicly held entities. Mr. Sommerhauser holds a Juris Doctor from Northwestern University School of Law and master’s and bachelor’s degrees in Economics from University of Nebraska. He is admitted to practice in Nebraska and Wisconsin.